​Dyno tuning is a systematic approach to engine tuning. 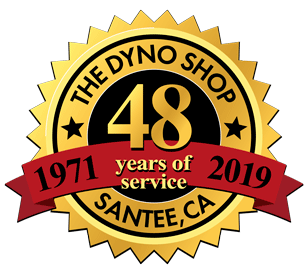 Dyno tuning allows us to give your vehicle a tune-up of unparalleled quality, providing you with the smoothest, most economical performance possible from your vehicle. To properly tune your car and program the computer for the best performance and fuel economy under all loads and driving conditions, your car needs to be on a dyno with full load control. Without a dyno the tuning can get close. 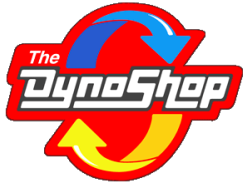 But nothing makes engine tuning more precise than a full-load dyno machine, like we use at The Dyno Shop. For each RPM range our dyno can put various loads on your car to simulate all conditions on the road or on the track. Turn of the century vintage auto or '60s muscle car; contemporary electronic, computerized, fuel-injected luxury or sport car or recreational vehicle: let us improve your driving experience. Give us a call, and schedule a tune-up today!